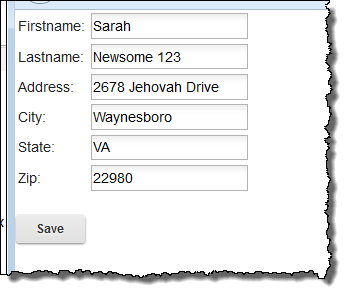 In this article I will demonstrate how using targeted websockets messages we are able to refresh user data on pertinent screens within an application, and keep user’s data up to date. 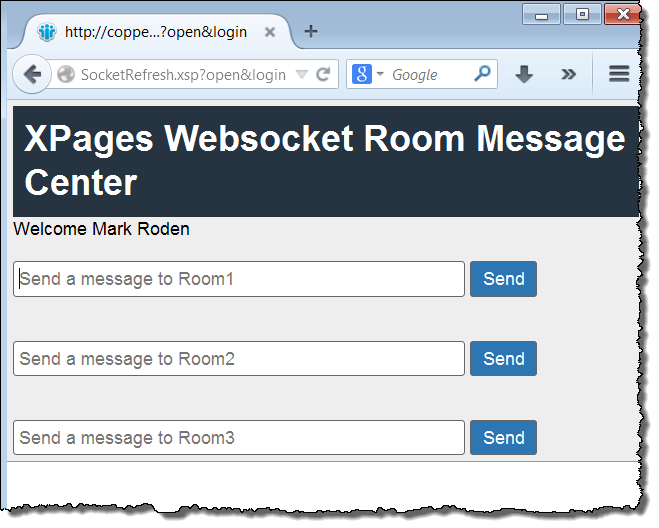 In previous articles I have discussed the creation of a nodejs websockets service within Bluemix and how we are able to send messages to specific web pages using the socket.io rooms capability. Both of those examples were proofs of concept and the messages were generated in the browser via firebug console commands. We are going to look at how we can automate these messages and begin to build a user case for using websockets within our applications. The only way to see the change would be to refresh the page – and you the user would never know when. This can be pseudo-automated from a user experience perspective in a number of ways but they all involve periodic checking for updates on way or another. If you scale that over many users this is extremely inefficient. That is where websockets comes in very nicely. In the previous article I demonstrated how to record an XPage as a “room” dynamically and in this example we will do the same thing. I created a new route to post my refresh data to “xpagesRefresh”. 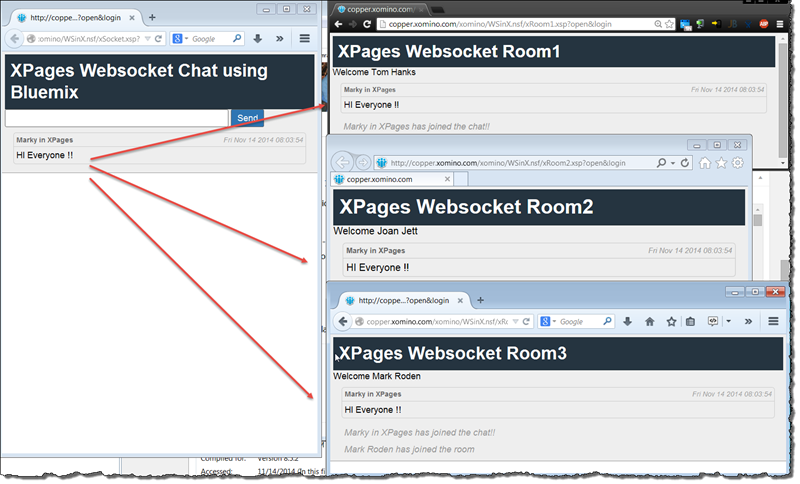 When data is POSTed at xpagesRefresh it is parsed and send back out via websockets using the “refresh” socket event. In a real application we are not going to have someone sitting on a browser pushing updates via firebug. We want to be able to create the update when the XPage is saved in the first place. To do this we transfer the code we saw in previous firebug blog example into the onComplete of a Save button. In this way when a document is updated within the application. A notification is sent out to all the people looking at the page, updating the data for them. The video below shows how we are able to trigger a partial refresh after updating a document within the application. Note the screen flickers grey as the CSS change happens before the partial refresh. It is so quick it is almost instant. As before, pushing my new code to Bluemix is as simple as checking it in to the jazz hub repository and redeploying. 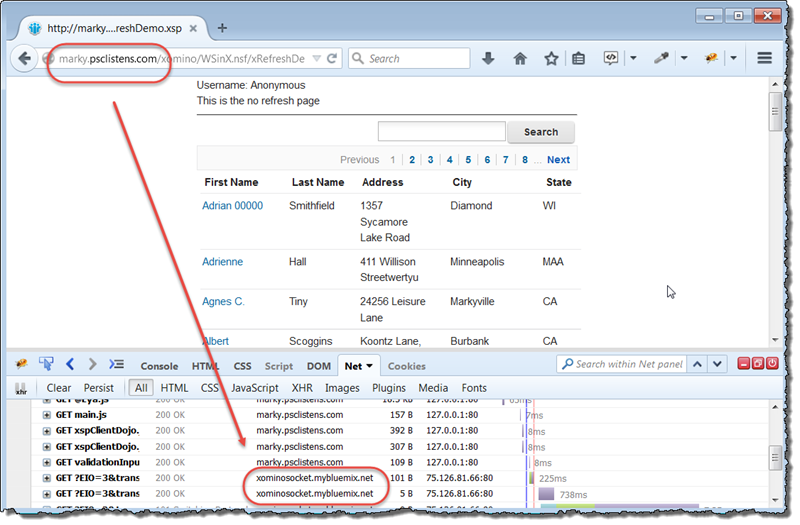 In the picture below we can see that we are using marky.psclistens.com as the application domain and not copper.xomino.com. As we showed before, if not copper then use Bluemix. In this article we saw how to trigger core XPages functionality automatically without the user having to interact with the application. In the next article we will look at how to improve on this, frankly horrible, user experience.